10 Things I Learned in 10 Years of Business. I thought I was going to be an exterminator. It was my dad’s business and it was honest work, but somehow it just wasn’t me, you know? And there I was working out and eating clean and—boom!—my passion moved from being a hobby to being a business. Steve’s PaleoGoods was born. That’s crazy when you think about it, right? 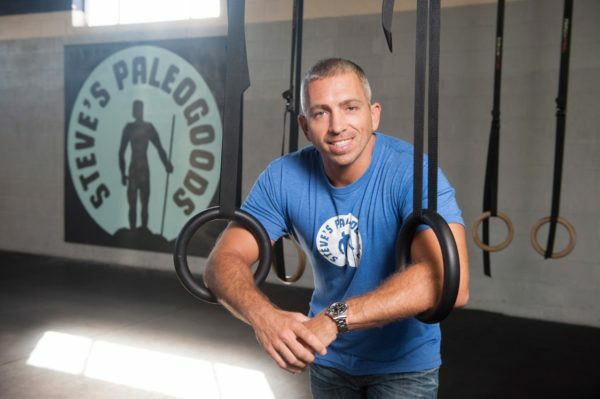 10 years ago, we were just starting to learn about the many benefits of eating the Paleo way, but here we are coming up on our 10-year anniversary at Steve’s PaleoGoods and it all blows my mind. I look around at the kids working for us and I see how much brighter their futures are shining and I’m really proud to be a part of this team, this little pocket of good in the world. I started thinking about what these years in business (and this community!) have taught me, and I made some notes. I hope you find some worthwhile takeaways here. Business and karma go together. The more good you do, the more good comes back to you. Screw your competitor, and you’re going to end up screwing yourself. Don’t do it. Not worth it. Honesty and common sense are mainstays in running a business. The trick? You can’t get either in a classroom or a business school. But you can develop both in the school of life. Running a business and managing employees can be very stressful. You have to remember to take care of yourself. Working out, eating clean, and taking mental vacations from your work are not just important, they’re crucial for the overall health of your company. That goes for you and for your employees. Product quality comes first. If you have to save money somewhere, don’t do it in the area of product quality. Hold that above everything else, or you will be on the fast track to mediocrity. Don’t bite off more than you can chew. Opportunities will come and go. Some will be big and shiny and you’ll be so tempted, but don’t get distracted. Stick with what you’re good at. Stay true to who you are as a company. Grow organically at a manageable and sustainable rate. If you grow like this, your company can do things the right way while maintaining your core values. Those core values are important. Don’t sacrifice what you believe. Stay the course. Have fun. Create good memories. Don’t focus so hard on the outcome that you forget about the journey going on right now. Treat people the way you want to be treated. The hard (but important) truth is that no one cares about your problems but you. Yet everyone cares how you treat them. So treat them well … and watch your problems get smaller. Patience is key. It takes years to build an “overnight success.” Don’t be fooled. You can’t rush greatness: it’ll come in its own sweet time. Settle in, do things right, and—remember—you’re here for the long haul. Good luck!